Inarimae Kofun (稲荷前古墳) is a 37.5m head-rectangle-tail-circle Kofun located in Yokohama. It is the first Kofun found in Kanagawa as its style. 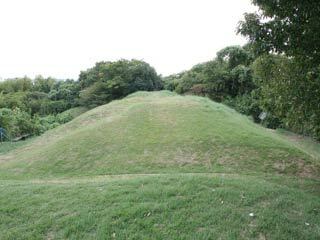 There are two other style of Kofun, circler and rectangle just around this Kofun. There is no parking and restroom.